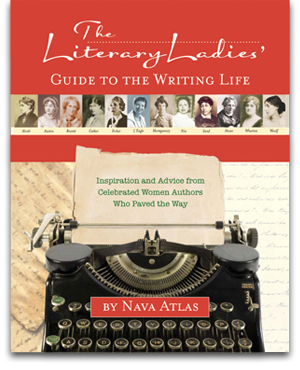 The Literary Ladies Guide to the Writing Life by Nava Atlas……. That line is the opening sentence on the book trailer for YouTube and that is the beauty of the stories in The Literary Ladies Guide to the Writing Life by Nava Atlas. This book captures why women have continued to write against tremendous odds for centuries. It is a celebration of the way 12 amazing women captured words with a pen, pencil, or quill and poetically spread them across pages. The author is not only fabulous with her own words and insights, but she is an amazing illustrator as well. The pages spill over with wonderful stories decorated with amazing art. It is clear that a lot of research went into getting this book right – the stories are drawn from diaries, journals, memoirs, and good old-fashioned letters. They give us the gift of so many lessons – struggling but not giving up, doubting and not doubting, and exceeding our own expectations. I will end this review by simply saying that I love this book so much that I have already purchased it as a gift for a friend. And she loves it too! ← The Wayward Life and Times of Dipsy Doodle Dandy by John Peaker……. This book sounds excellent. I will definitely take a look. Thanks, Ellen.